Cycling routes among hills of Brescia. 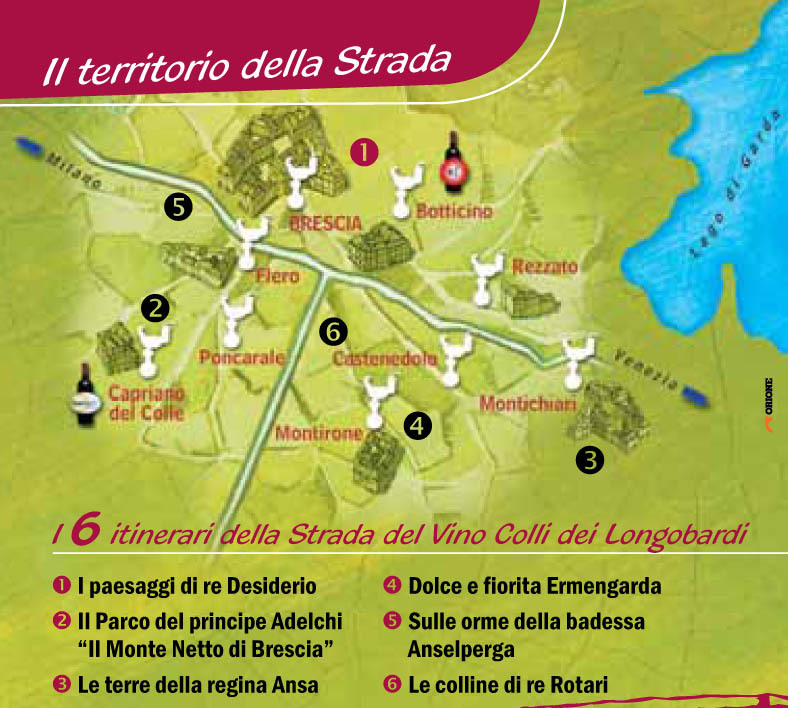 Six new itineraries on the “Route of Wine Hills of Longobards”. 1 – Itinerario: LANDSCAPES OF KING DESIDERIO. 2 – Itinerario: PRINCE ADELCHI’S PARK. 3 – Itinerario: ANSA QUEEN’S GROUNDS. 4 – Itinerario: FLOWERY AND SWEET ERMENGARDA. 5 – Itinerario: ON THE MARK OF BADESSA ANSELPERGA. 6 – Itinerario: KING ROTARI’S HILLS.